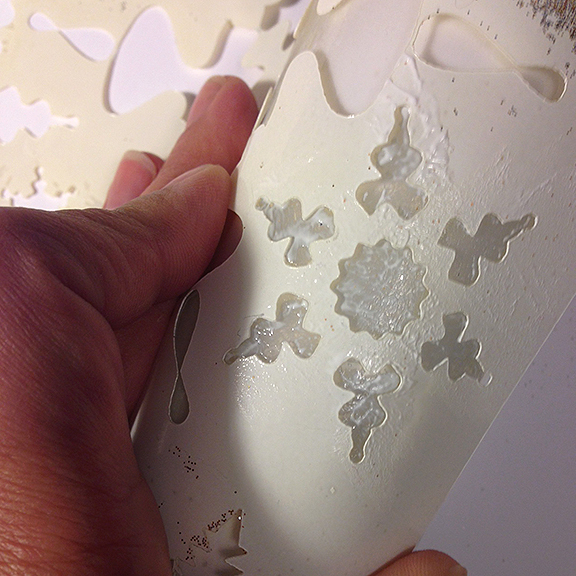 Next, I lifted the stencil and poured a generous amount of glitter over the glue. 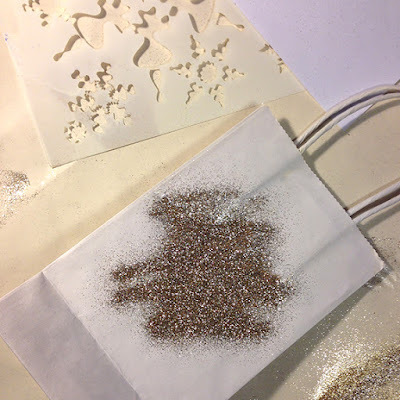 I let it set for about 5 minutes before shaking the excess glitter off. 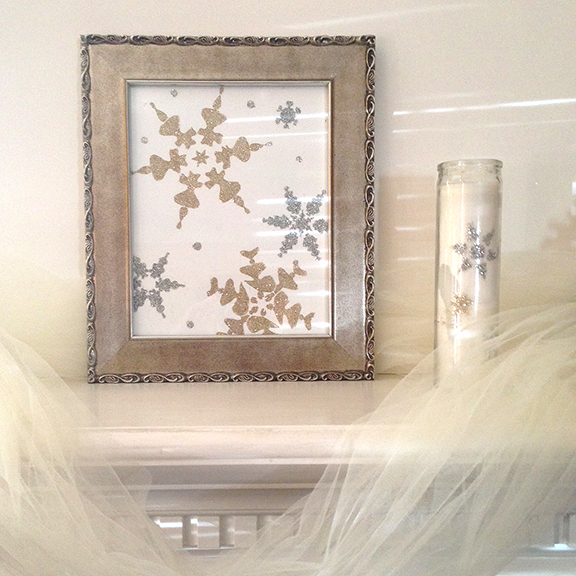 Here are all of my completed snowflake projects. 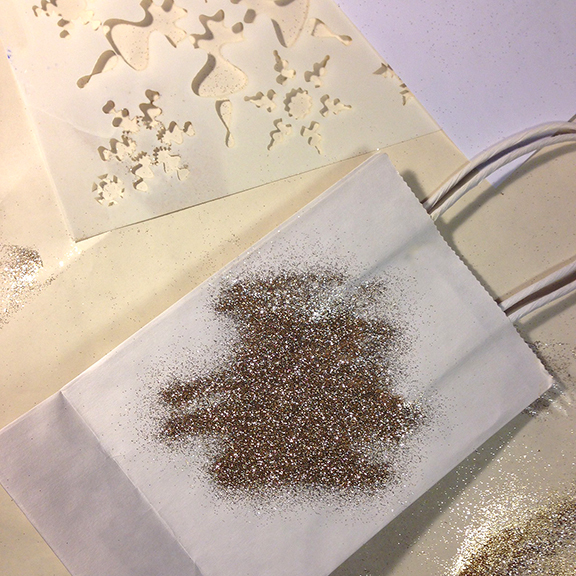 I sewed a simple wine bag and stenciled a glittery snowflake on the front. 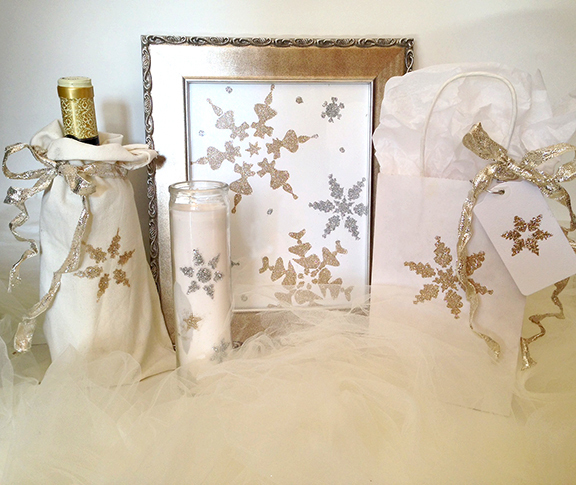 I also stenciled the dollar store saint candle, gift bag, tag and of course what started it all, the framed snowflake picture. 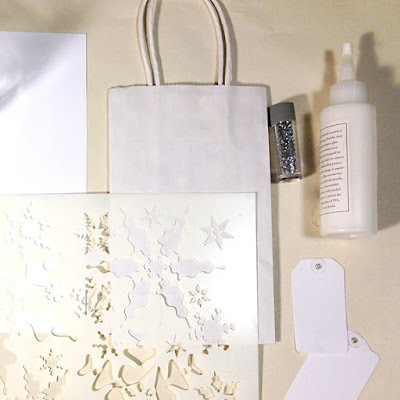 I hope this post sparks some ideas for quick and simple projects you can make with stencils either to keep or give as gifts this holiday season. Cheers! receive 10% off any purchase of June Pfaff Daley's StencilGirl stencils! !